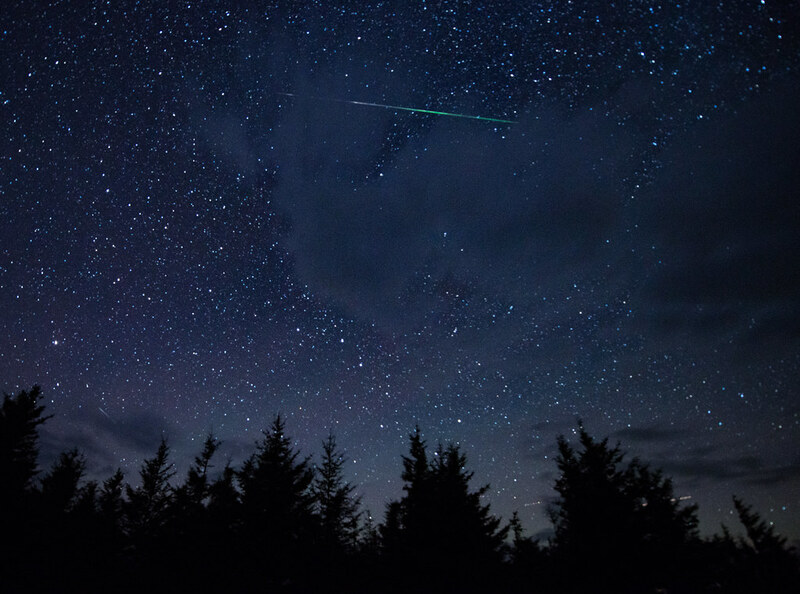 During the annual Perseid Meteor Shower, named for the constellation Perseus, these small particles, now known as meteors, strike the Earth’s atmosphere at 37 miles (57 km) per second and burn up high in the sky. For a fleeting instant, they become “shooting stars” as they streak across the firmament, gracing the heavens with an ephemeral glowing trail. It is a dramatic spectacle. The patient observer will be rewarded with about 60 meteors per hour, or about one per minute on average, and sometimes two simultaneously. 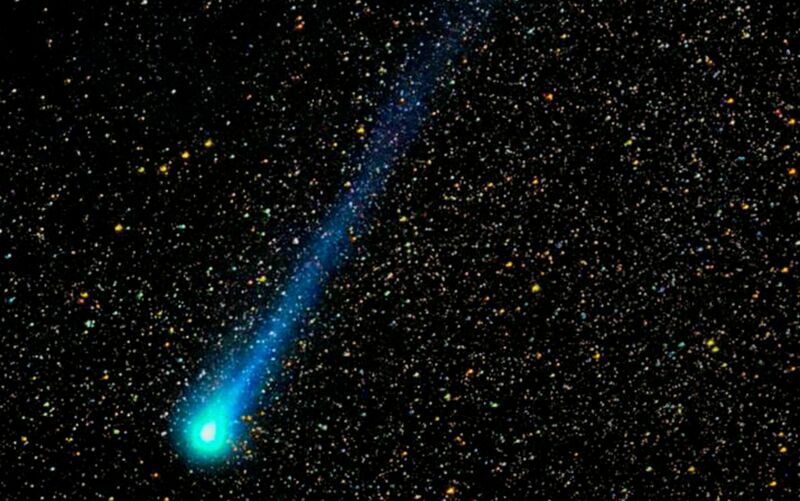 This annual celestial event, on display every August, is one that we Earthlings have appreciated for centuries. The problem is that it has become ever harder to see as population and cities and light pollution have all proliferated over the past century. As good fortune would have it though, I happened to be in one of California’s darkest remaining places for this past Perseids on August 11-12: high in the wilderness of Lassen Volcanic National Park in the northern part of the state. Perseid meteor and Milky Way in 2009. We lay down on our backs on the hard pavement of a scenic overlook and stared skyward. In less than a minute we saw the first streaking meteor, then another, and another. It was captivating. Though a high, thin film of haze from California’s ongoing wild fires obscured the sky somewhat, impairing visibility, there were still thousands of stars in sight; the luminous band of the Milky Way, our home galaxy among the billions and billions, appeared so close I could reach out and embrace it. I tried to point out some of the major summer constellations to my son: the Northern Cross (part of Cygnus the Swan) and its brightest star Deneb, the Pleiades (“Seven Sisters”), Pegasus the winged horse, Andromeda, Cassiopeia and Ursa Major (a.k.a. the Great Bear or the Big Dipper), with its “pointer” stars on the far edge of the ladle aiming toward Polaris, the North Star. I could discern M-31, the spiral galaxy in Andromeda, a faint blotch. At 2 million light-years away, this “sister galaxy” to the Milky Way is the most distant object in the universe visible to the naked eye. Alas, so many stars were twinkling overhead that my son had a hard time distinguishing any of these individual objects or imaginary shapes above my outstretched arm. 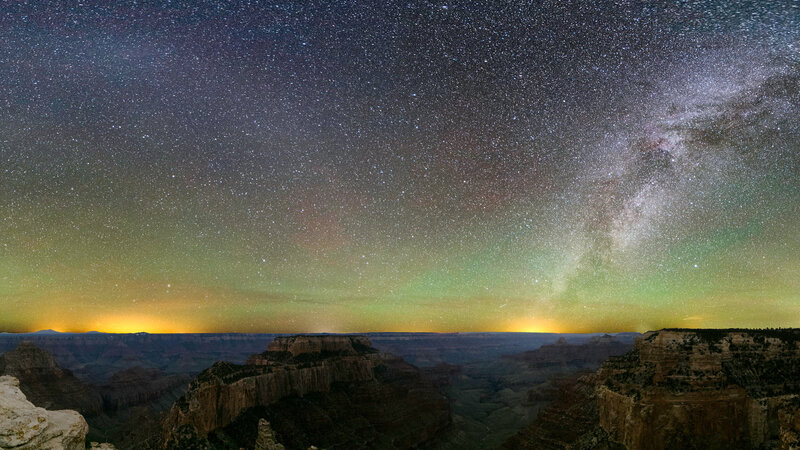 View of the Grand Canyon at night from the North Rim. Flagstaff, Phoenix and Prescott, Arizona and Las Vegas, Nevada. 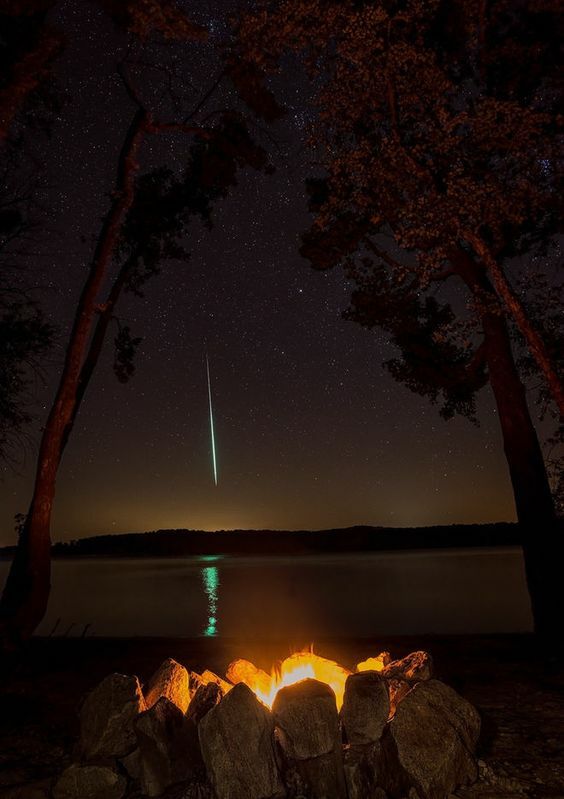 Perseid “fireball,” Aug. 12, 2016. Most people living east of the Mississippi River in the U.S. never get to see the Milky Way. And they are poorer for it, losing a sense of perspective and our place in the universe. If California’s and America’s population and cities continue growing as projected by the U.S. Census Bureau and independent demographers – pushed ever upward by incessant immigration – it will become harder and harder to enjoy this primordial connection with the cosmos. It doesn’t have to be that way. Ordinary Americans have a say in the matter, but their views have long been overlooked and overruled by powerful elites and special interests.